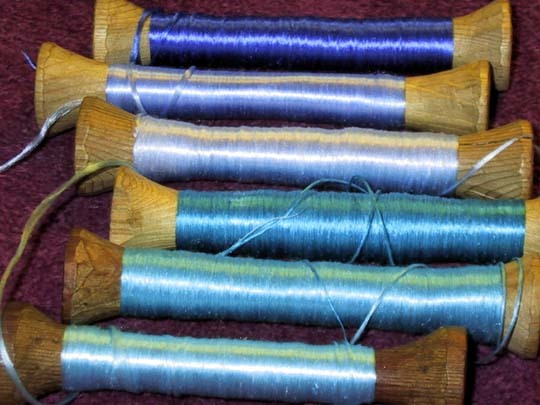 I’m going to be reeling silk at the State Fair of Texas! I’ll be there each Sunday and Monday for the run of the Fair *except* for Monday, October 3. I’m on at 2 PM at the Texas Discovery Gardens. The Observer did some “creative fact-finding” and added some stuff that wasn’t in the press release. They used the photo, though, which makes me happy! The Guide follwed the script a little more closely. The Dallas Morning News did a similar brief listing, but they make you register to read it – I haven’t seen the print version yet to see if they included a photo or not. Soanyways – if anyone wants to come see me reel silk and wave my bugs around, I’ll be there! Let me know if you’re coming so I can look for you. 0 0 Michael Michael2005-09-29 10:04:002005-09-29 10:04:00"Larval Marvels"